DENVER (KGO) -- A video released by the district attorney's office shows a man going to extreme measures to catch a flight. 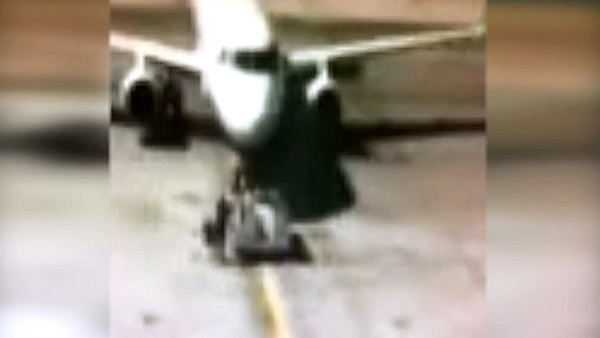 In the video, the man is seen running onto the tarmac to stop the flight at Denver's airport. Prosecutors said the man opened a secure emergency exit door on a concourse, ran out on the ramp and tried to stop the plane as it was pushing back from the gate. The man pleaded guilty to tampering and endangering the public and was sentenced to probation and community service. Officials said he missed the flight to his 40th high school reunion.